The National Academy of Medicine defines diagnostic error as the failure to (a) establish an accurate and timely explanation of the patient’s health problem(s) or (b) communicate that explanation to the patient. Simply put, these are diagnoses that are missed altogether, wrong, or should have been made much earlier. What do we know about diagnostic error? All told, diagnostic errors affect an estimated 12 million Americans each year, and likely cause more harm to patients than all other medical errors combined. Missed diagnoses also lead to higher healthcare costs—through treatment of sicker patients with more advanced disease; by overuse of unnecessary, expensive diagnostic tests; as a consequence of malpractice claims; and with the high costs of treatments for diseases patients do not actually have. Some have estimated that $100 billion or more may be wasted annually in the U.S. as a result of inaccurate diagnosis. Roughly one in 10 patients with a serious disease is initially misdiagnosed. Where do we get information about diagnostic error? Malpractice data are skewed, but they tell us a lot about the most serious of diagnostic errors that result in harm to patients. 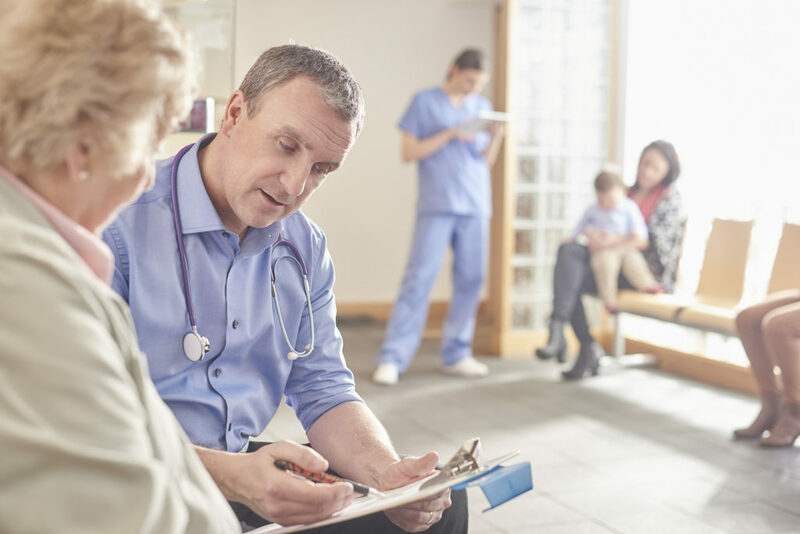 What’s more, claims analysis reviews the patient viewpoint in addition to the medical record, a perspective absent from most other data sources. How often does diagnostic error lead to adverse events and death? Diagnostic errors affect an estimated 12 million Americans, and likely cause more harm to patients than all other medical errors combined. An estimated 40,000 to 80,000 people die each year from diagnostic failures in U.S. hospitals alone, and probably at least that many suffer permanent disability. The total across all clinical settings is likely much higher. What is the cause of diagnostic error? Diagnosis involves both human and system elements. The explosive growth in medical evidence and new technologies ends up being a double-edged sword, making diagnosis more accurate but also more complex at the same time. From a human perspective, physicians are subject to the same cognitive limitations and biases that affect us all in our day-to-day lives. In medicine today, the complexity is astounding. There are more than 10,000 known diseases and more than 5,000 laboratory tests, but only a small number of symptoms in comparison. So, any one symptom may have dozens, if not hundreds, of possible causes and test options. Healthcare systems link together hundreds or thousands of different processes, practices, procedures, and technologies. While these systems are built with patient safety in mind, the sheer number of connections increases the risk of miscommunication and other breakdowns along the way. Is diagnostic error more closely associated with some specialties than others? Yes, but it is a significant factor for malpractice claims across all specialties. It is the number one cause of claims in primary care disciplines, emergency medicine, radiology, and most of the medical sub-specialties. It is also the number one cause of claims in surgical specialties. Misdiagnosis is most common in primary care and emergency medicine, partly because there are so many visits to these settings, but also because patients are seen early on in an evolving disease process (when their symptoms may be less obvious and underlying diseases harder to diagnose). Do rare diagnoses account for the majority of diagnostic errors? No. In fact, three major disease categories—vascular events, infections, and cancer—account for roughly three-fourths of all disability and deaths due to diagnostic failures. Rare diseases are certainly misdiagnosed and can lead to long diagnostic journeys for patients, but misdiagnosis of more common diseases like stroke, sepsis, and lung cancer impacts many more patients. More needs to be done to improve the diagnostic process and reduce errors. What can be done to reduce diagnostic error and harm? Making improving diagnosis a strategic priority for healthcare at the practice, system, and policy levels. Advancing research on diagnostic accuracy and error that will lead to reduced harm. Transforming our nation’s medical education system to teach aspiring physicians and others what they need to know about both obstacles to accurate and timely diagnosis and potential solutions. Improving diagnostic performance in clinical practice through greater engagement of patients, clinicians, and other healthcare professionals. Ensuring that the voices of patients and their families are heard in all diagnostic improvement efforts. Patients and family members have a significant opportunity to contribute to diagnostic accuracy and timeliness by actively participating in the diagnostic process.